Hello people! I'm back here with my final projects from my February Guest Designer position at The Scrap Room. It's been so fun being a Guest Designer over there! I loved playing with the Flavor of the Month kit I received. It was just the right amount of papers and embellies to scrap all month long! I still have quite a bit left over to play with still. A loaded kit for an economical price! What more can you ask for?! If you follow me, you probably already know that I usually try to make cards with my left over paper scraps. Well, here are a couple of cards I made using that method. Thanks for coming by today and checking things out! Go check out The Scrap Room next. They have so many cool projects to inspire you. I've really have been having a blast being a Guest Designer at The Scrap Room this month! I want to thank Rochelle Spears for the opportunity! I'm back today with my Freaky Fast Friday layout. I loved making this one! It was so fast (hence the name...lol) and fun! 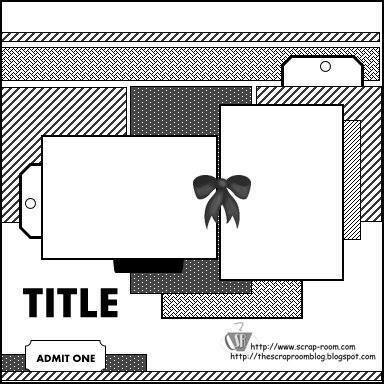 You are given specific paper sizes and then you can either follow one of the designer's paper arrangement or just move the papers around until you are happy with your own arrangement. I made this layout using the Echo Park - Spring papers from the February Flavor of the Month kit. Thanks for coming here today. 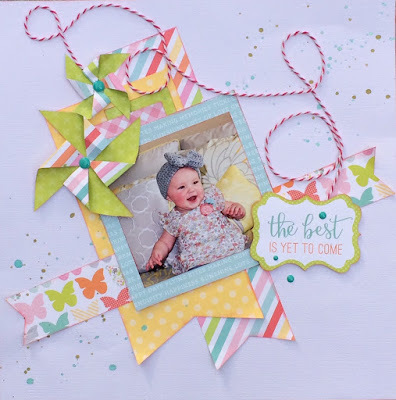 Now you need to rush over to The Scrap Room and check out all the inspiration from the other designers in the TSR Ideas Gallery. And while you are there, if you like what you see, you should sign up to start getting one or more of their awesome kits! Welcome friends! 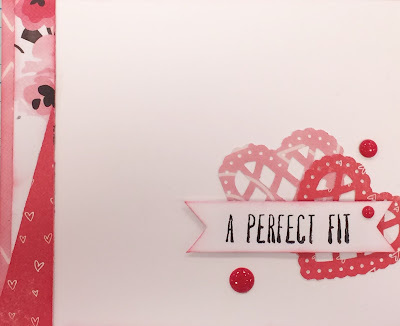 I'm excited to share my newest project as a February Guest Designer for The Scrap Room. 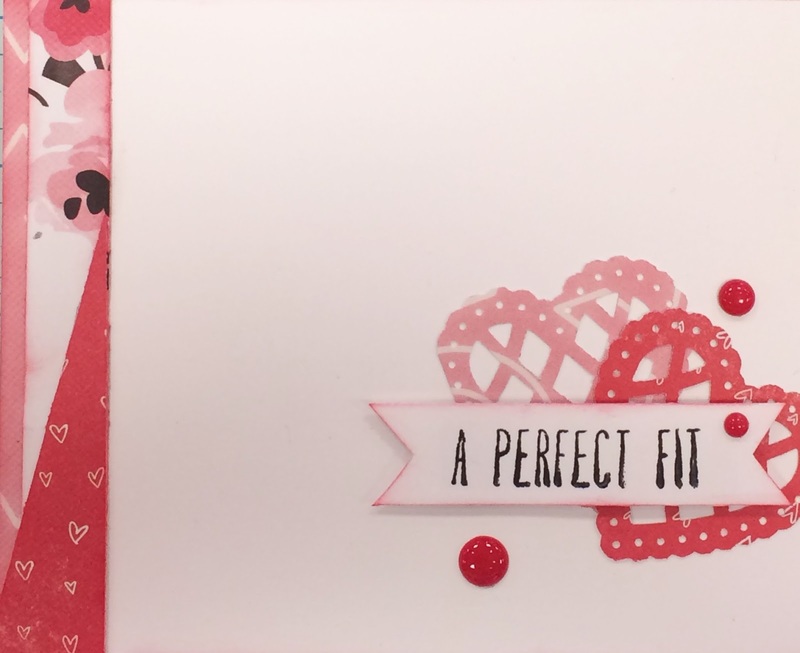 This project is a double page layout featuring Simple Stories - You & Me paper and embellishments from the Flavor of the Month kit. 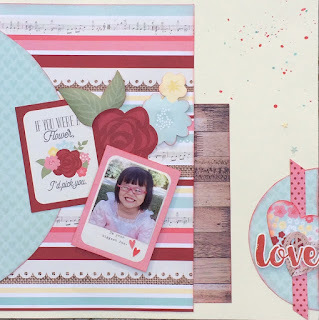 I think you should go over to The Scrap Room and be inspired by all the fun projects from the design team and while you are there you might even be inspired to purchase one of their affordable kits! If you do, then you will have free access each month to the recipes for making the design team double layouts!! Pretty cool, right? Hello everyone! I'm back with another project made with the AWESOME Flavor of the Month kit from The Scrap Room. 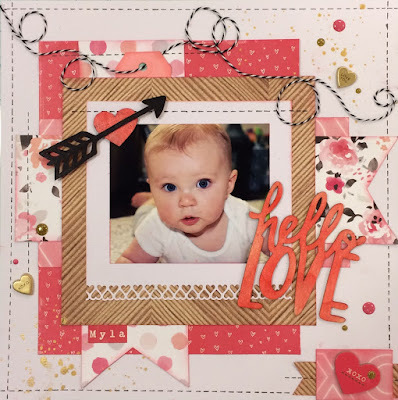 This layout is made with the GORGEOUS papers from Crate Paper - Hello Love. Oh my gosh this paper is so pretty! I honestly couldn't wait to get busy making a layout. You really should go over and check out The Scrap Room kits. I really think you would love to getting one of these kits each month. I know I did! It is that time again for me to share a layout I made with one of the awesome sketch challenges this month at Sketches in Thyme! My sketch is by the fantastic sketch designer (and my buddy), Rochelle Spears! And it is gorgeous and inspirational as usual. 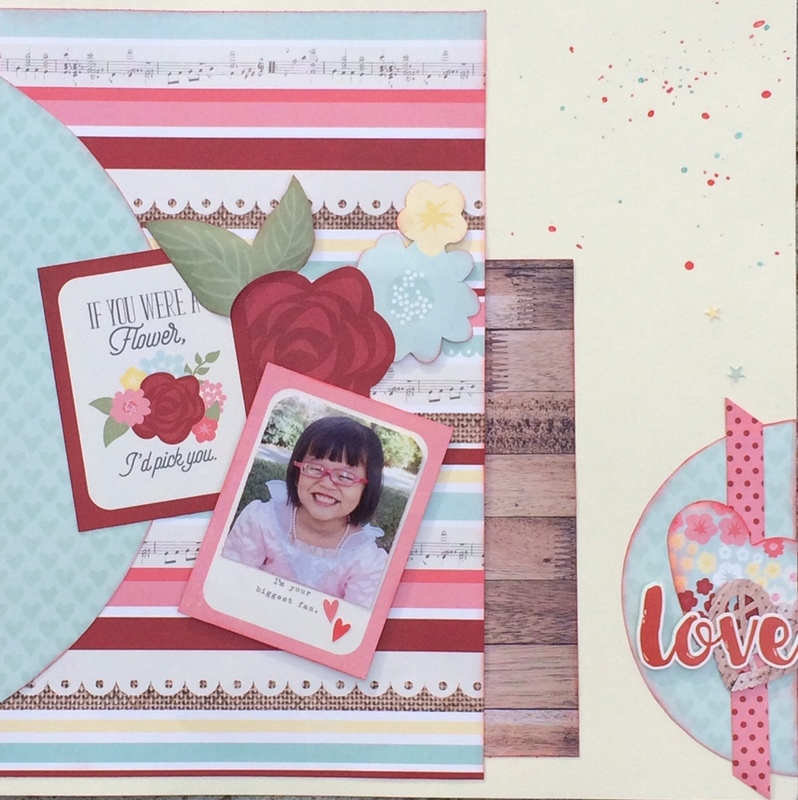 My BFF, Denise and I challenged ourselves to make a layout together which was really a bit of a challenge since she was in California and I am in Oklahoma! She finished hers first because I'm a bit of a piddler but I did finally get mine finished and I'm thrilled with how it turned out! You are going to love working with this fun sketch too!! Well....what do you think? I used one of the photos I took of my hubby and kids at Christmas. Did you take as many photos this holiday season as I did?! I took about 400 photos and how do I know this you ask? 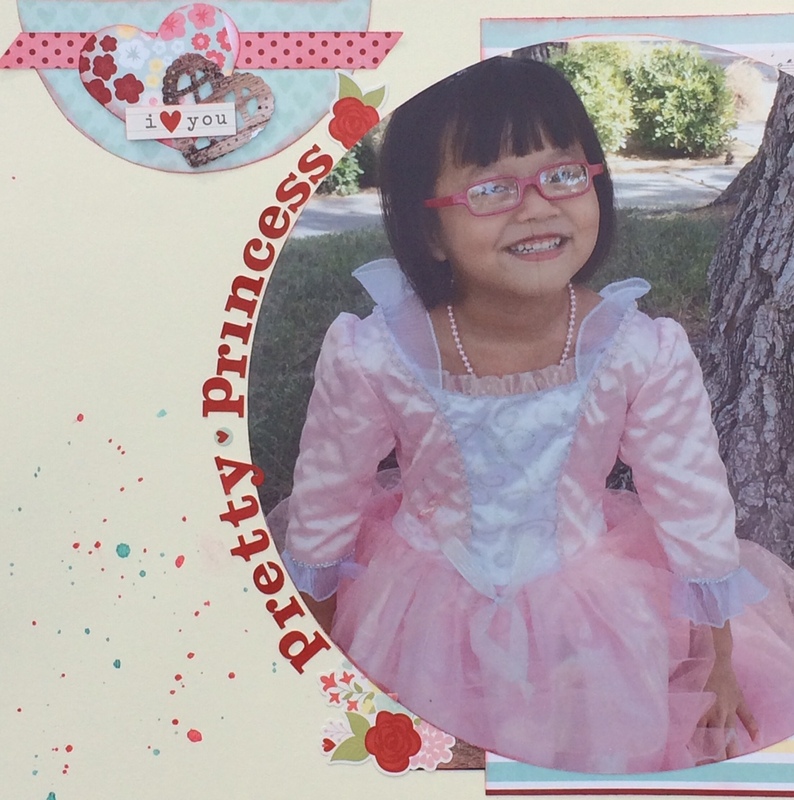 Because I saw a great photo processing discount at Walgreen's and developed them all!! Yay to actually printing my photos!!! lol I usually just have them add up on my memory card (or phone memory) until I eventually download them onto my computer. (I know...not a good idea) Anyway, my point is that I now have a ton of photos to scrap! I am challenging myself this year to make at lease 50 layouts. I honestly think this is a doable number and hope to blow past this amount. How about you? Any scrappy goals this year? Share! Now you need to rush over to Sketches in Thyme and get inspired to join the challenge! Thanks for stopping and visiting today. Until next time...happy scrapping! Guest Designer for The Scrap Room! I have some great news to share! 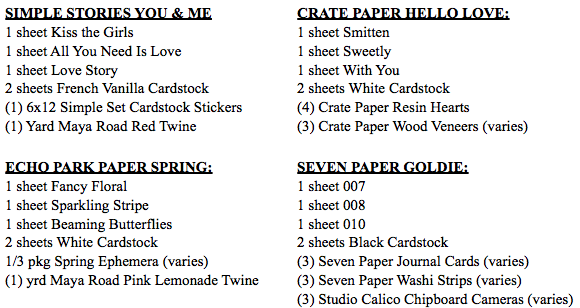 I was asked to be a guest designer for February at The Scrap Room! I hope you get a chance to go check out the awesome kits that they have available. I was lucky enough to get to work with the Flavor Of The Month kit. Look at all the awesomeness! 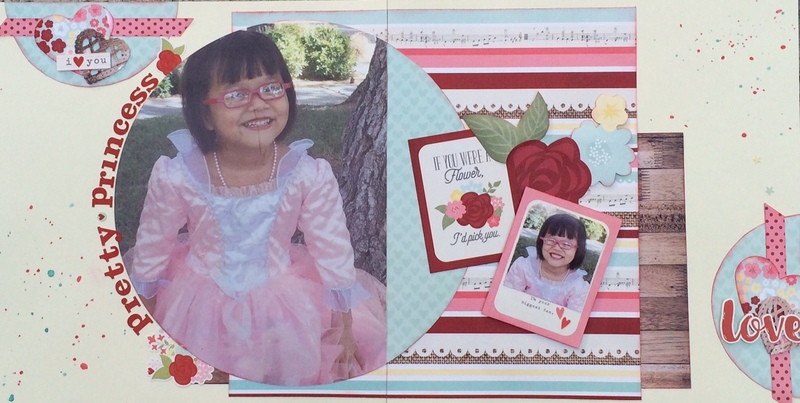 Have you ever wanted to be a Guest Designer and get a kit to work with for free!? Each month The Scrap Room will post a sketch challenge, and from the entries they will invite one person to Guest Design with them for one month. TSR Kit Club subscribers and non-subscribers are encouraged to play along. 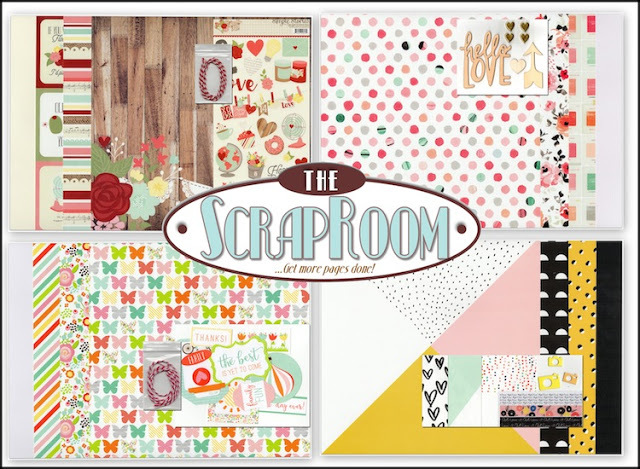 The person chosen, will be awarded a Flavor of the Month Kit and be required to create 3+ layouts using the kit, which will be featured on The Scrap Room. If selected you must be willing to complete your projects within their deadline. Don't you just love that paper? 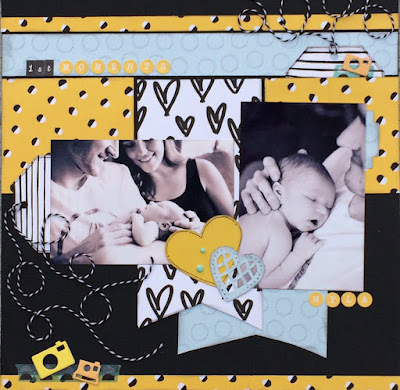 I'm not sure I would have ever thought to mix the black, yellow and blue but I love how it looks all together! And it was super fun to work with the February Sketch Challenge sketch. 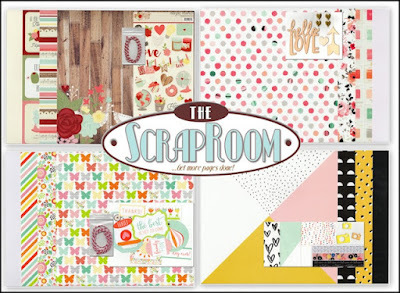 You need to head on over to The Scrap Room and be inspired by all the other designers! And be sure and check back here because I will have more projects to share throughout the month using all the goodies in this kit.